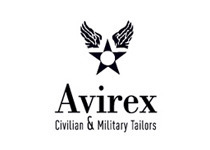 In 1942 a small workshop in Long Island gets the first exclusive license for the production of leather jackets for the U.S. Air Force and for decades provided the American aviation under the label “Avirex”. Spend more than thirty years before a young New York attorney and track down the small business and his partner, the Avirex detect and transform into a brand. In short, the company resumed production of the famous Bomber worn during the Second World War, and the two, driven by their passion, they decide to bet on the success that these leaders could also collect on the civilian market. When Avirex ® arrives in Europe chooses Italy for not only production capacity but also for the ability of its designers to preserve the quality and innovative range of new products while in the continuity of its tradition. Today the brand is pursuing strategies of independent and diverse geographical area and Avirex ® headquarters for Europe, Asia, Africa and Australia (excluding only the Americas and Japan) is in Milan. This entry was posted by admin in fashion-street, mission, music, redwings, redwingsshoes, Senza categoria, skateboard, snowboard, streetwear, Uncategorized and tagged aereo, avirex, chino, chinos, civilitizian, fly, italy, jacket, los angeles, man, military, new york, now, paninaro, pantalone, Store, top gun.